Unique places in the city create an unforgettably good experience. The real fun is when you spend your time well, learn something and visit the locations where the biggest events are organized. A short guide to the long enjoyment of Belgrade is in front of you. The sightseeing of the city from the Danube and the Sava brings a completely different perception over the usual walks. "Hop on" to some of the boats for sightseeing in the city and swing in Belgrade way. 2. Museums work throughout the year, and attractive exhibitions and settings are regularly updated. The Museum of Illusions is something special in the rich museum offer. Fun is guaranteed. 3. Knez Mihailova. The pure classic that must be visited. The main pedestrian zone is a place where you will see how citizens of Belgrade, beautiful Belgrade girls and thousands of tourists enjoy and what they do. Restaurants, shops and institutions of great importance - all in one place. 4. The Zoo. In Belgrade, the animal kingdom is not outside the city, as in most of the metropolises, but in the very center. Nearly 200 animal species live a happy life in the Serbian capital. 5. Kalemegdan. The most famous park in the city impresses with the fusion of nature, history and a perfect view of the confluence of the rivers. Many things that testify to the rich past are located here. If you have not won the fortress, it doesn't count that you have visited Belgrade. The right place for the best selfie. 6. Ada Ciganlija. The largest beach in the city is a place where relaxation, extreme sports, activities for the whole family, and everything that is attractive during free time are the most important. The restaurants and bars at Ada Ciganlija are located next to the lake and create a feeling like you are at the sea. 7. Avala Tower. 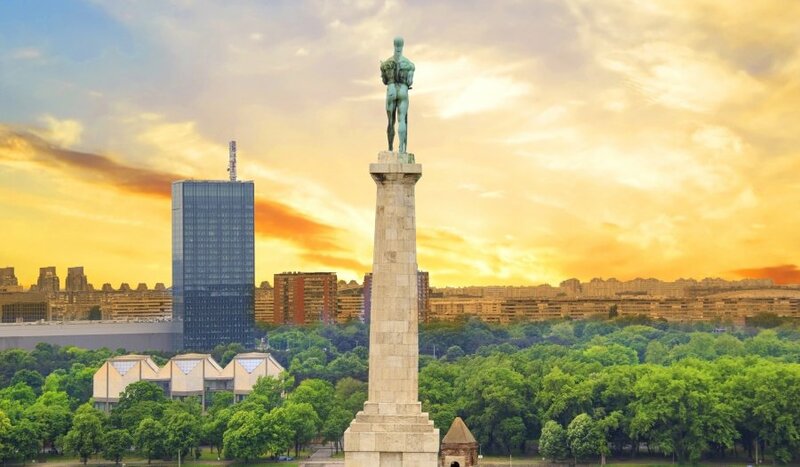 Climb the highest tourist attraction and see whole Belgrade in front of you. Literally. Also, the nature of Avala is like made for a picnic. The trip out of the city center is worth the attention.